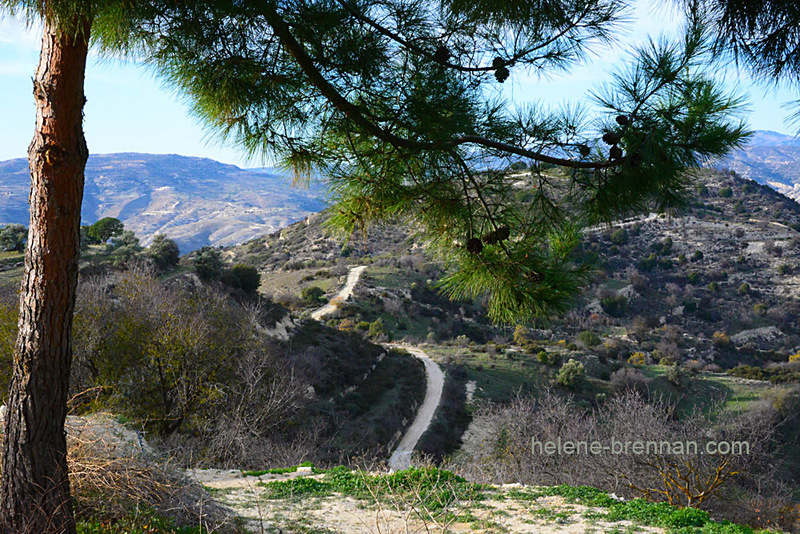 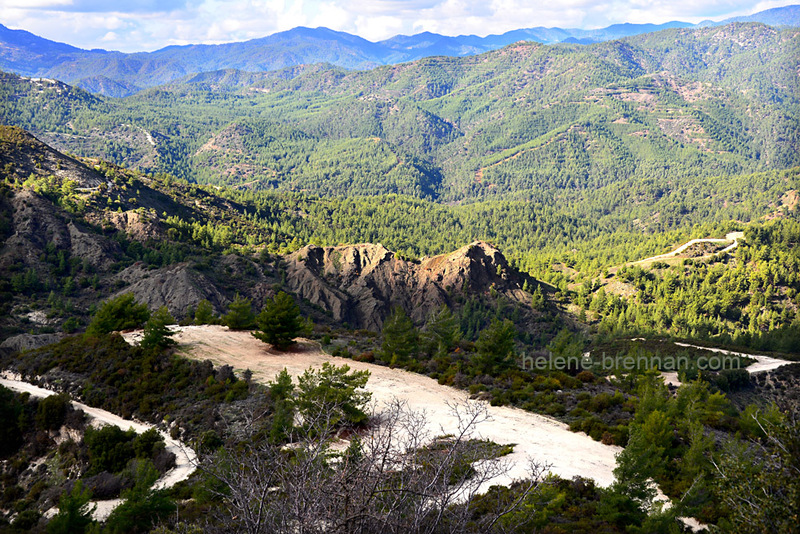 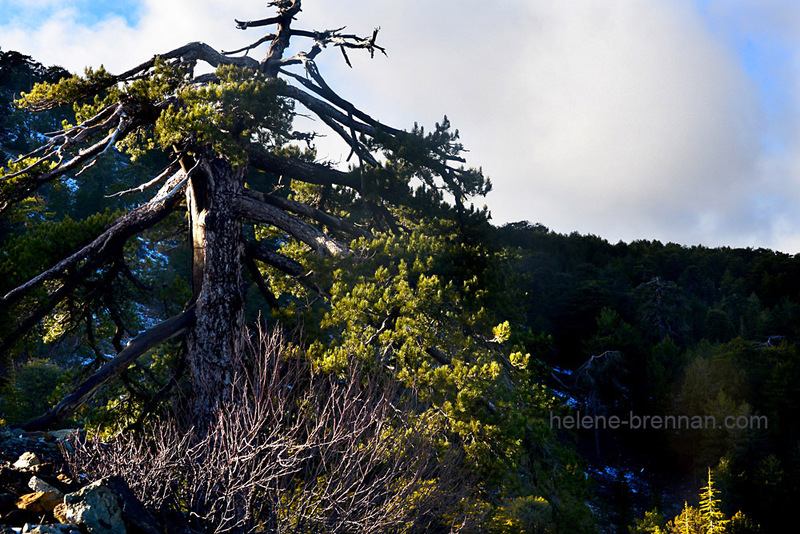 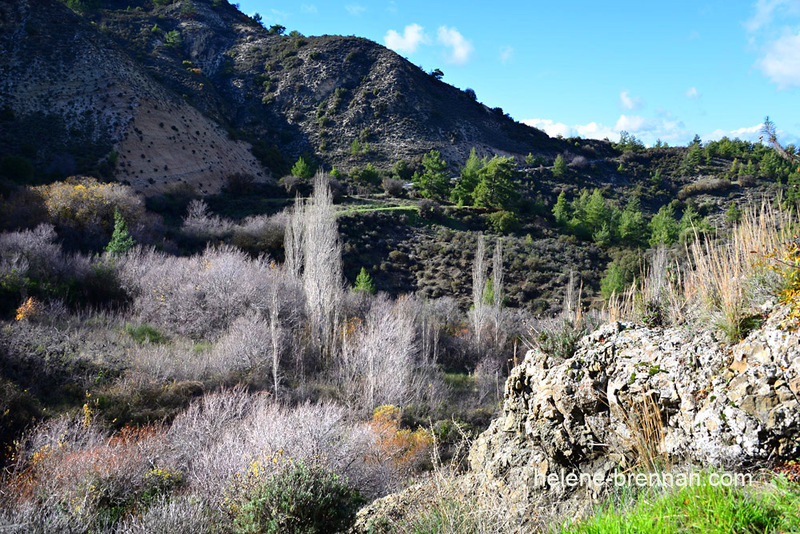 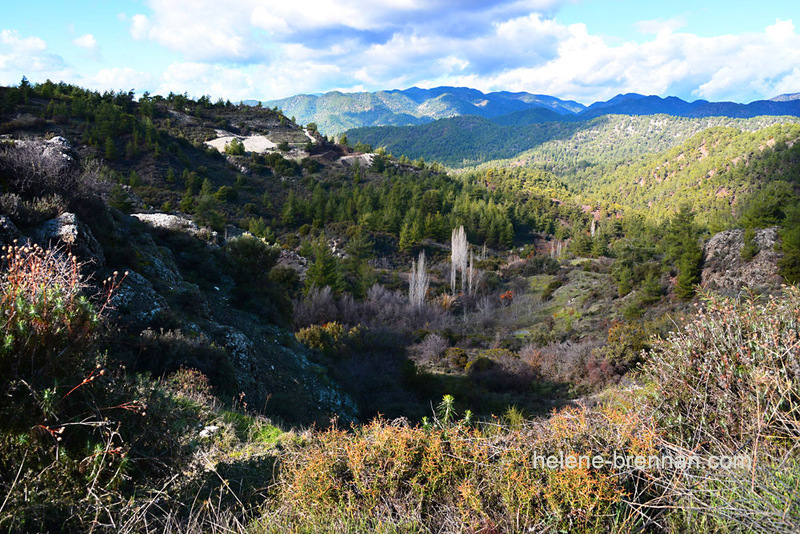 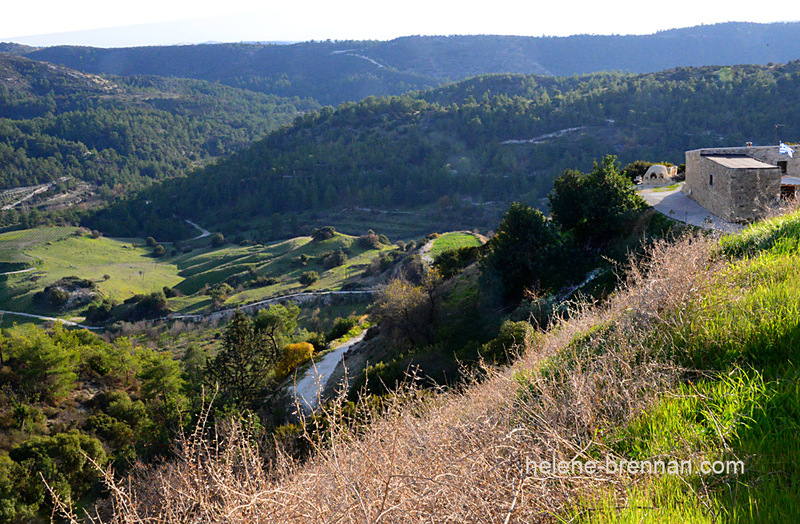 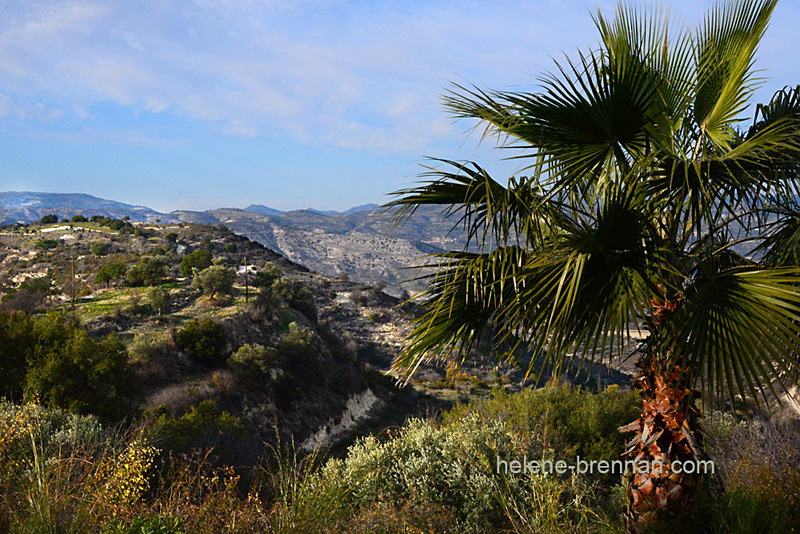 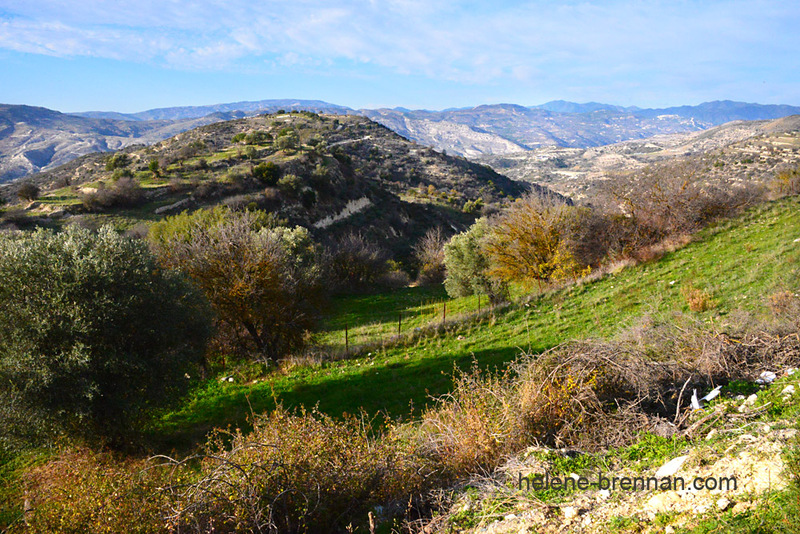 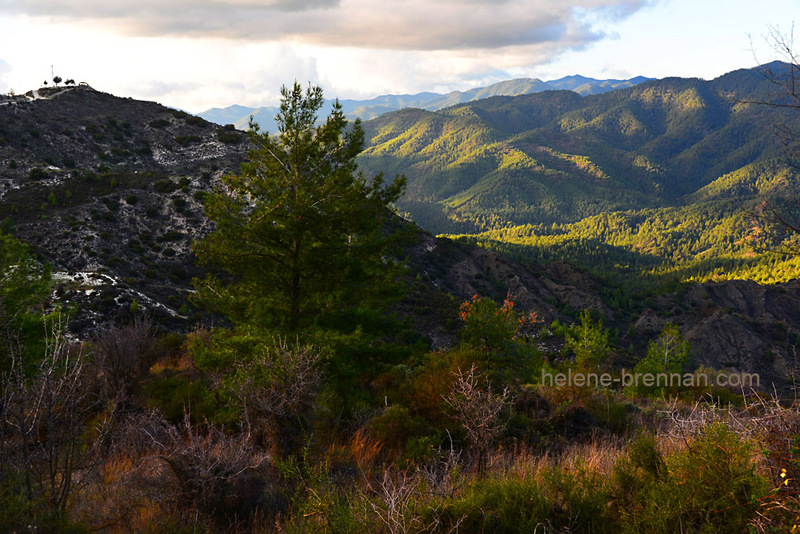 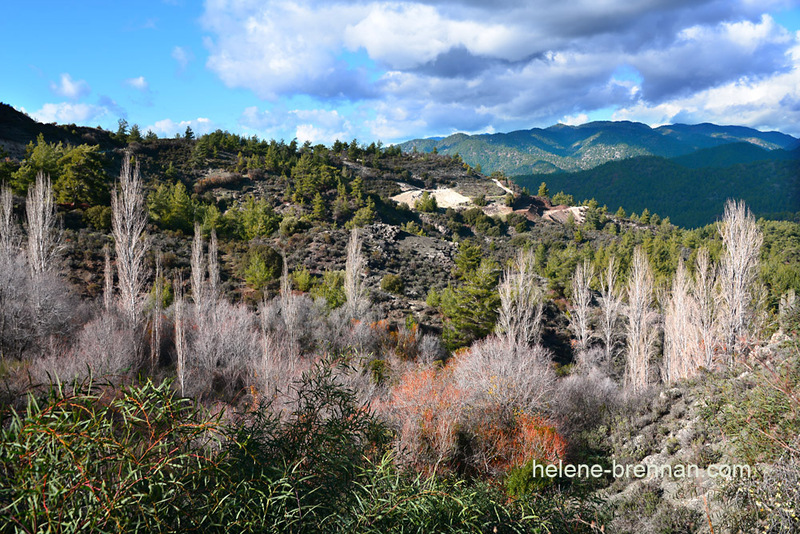 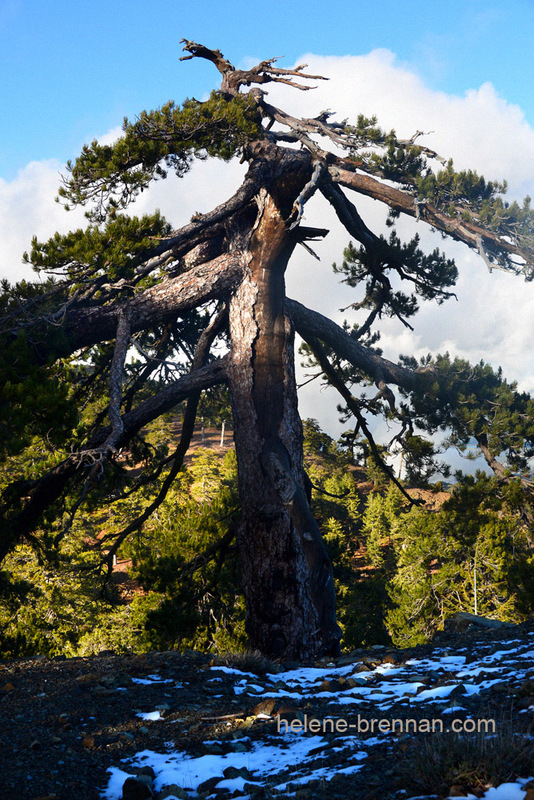 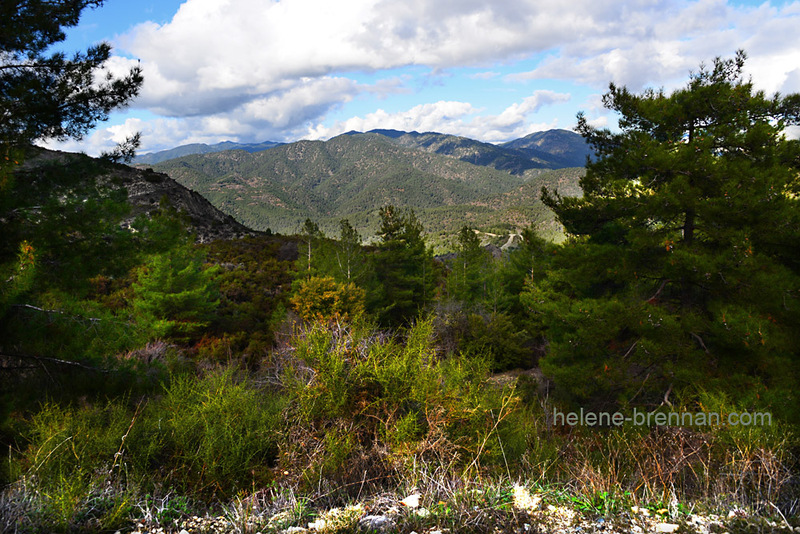 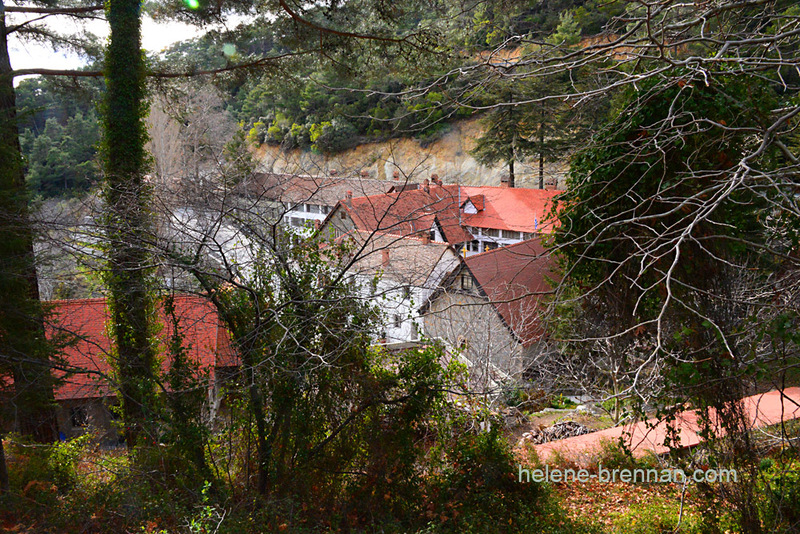 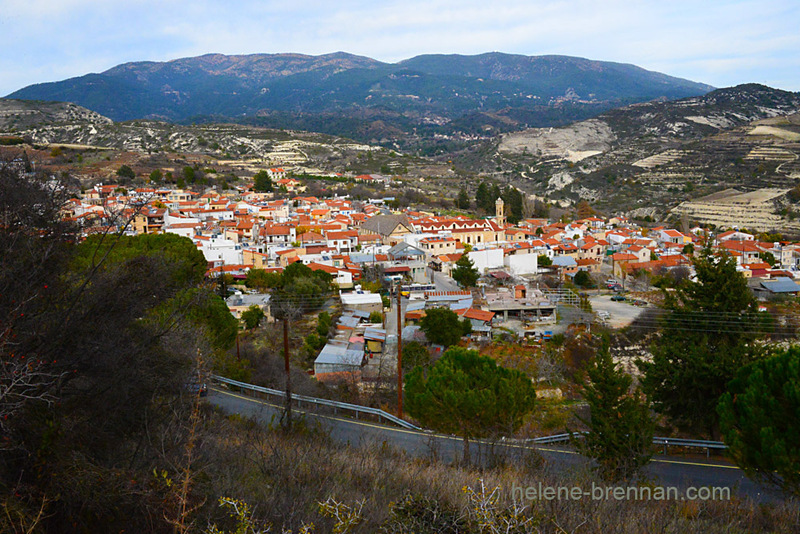 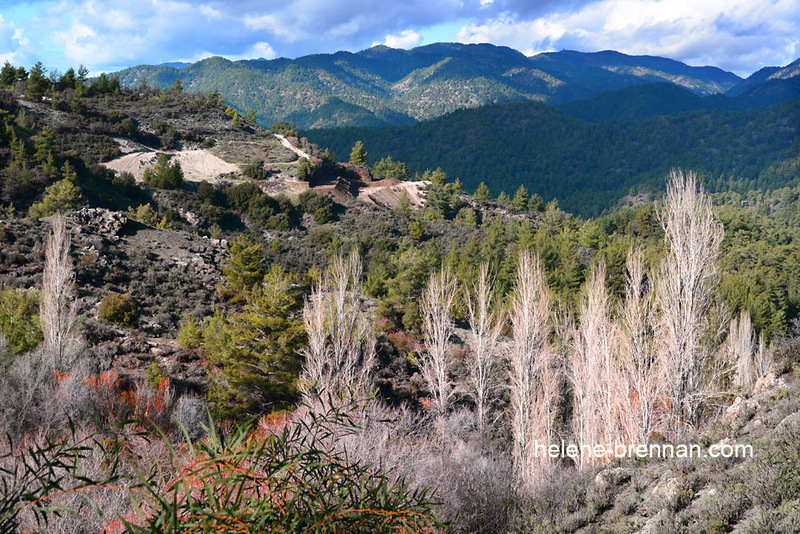 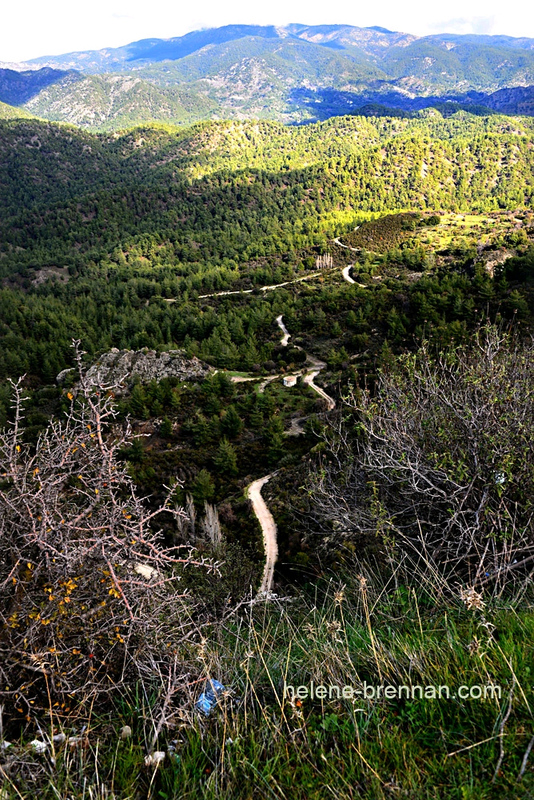 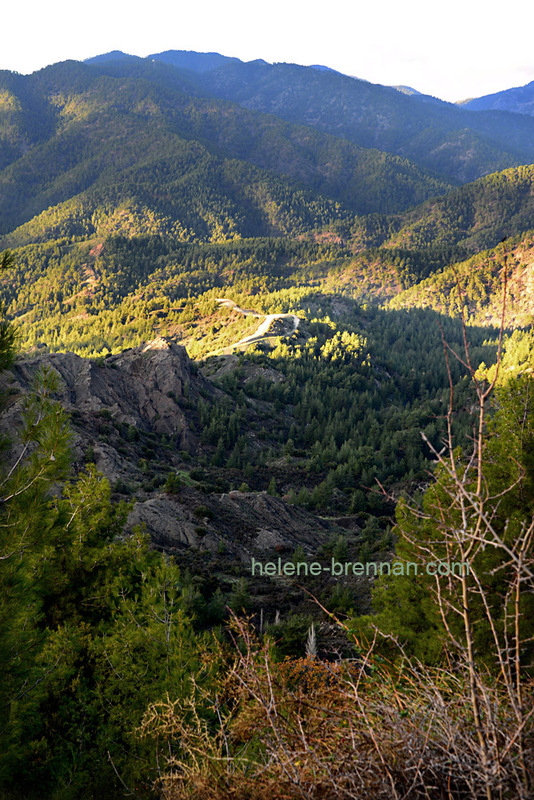 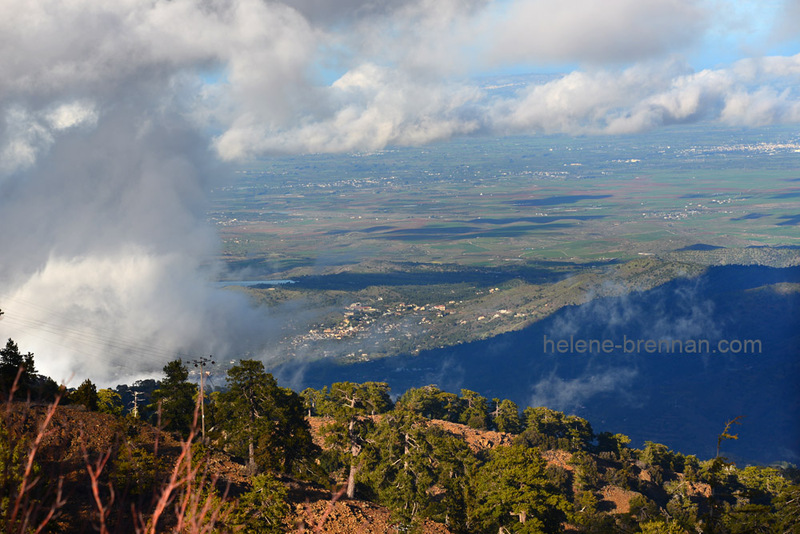 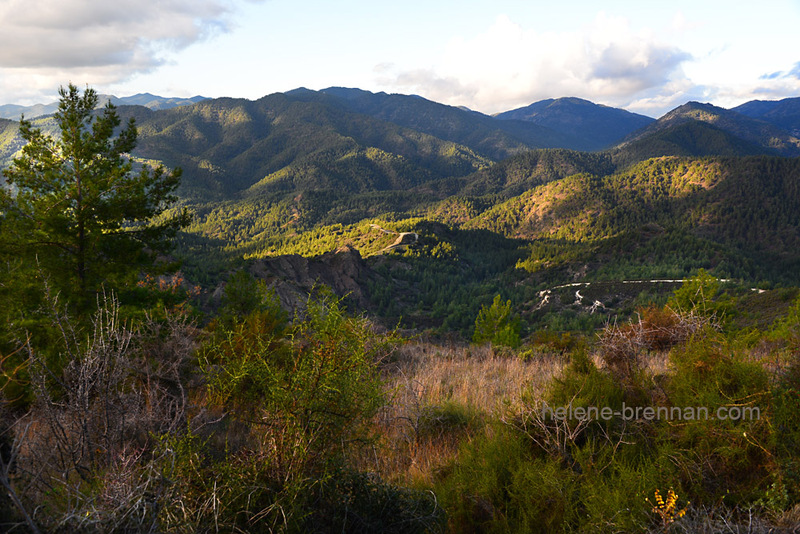 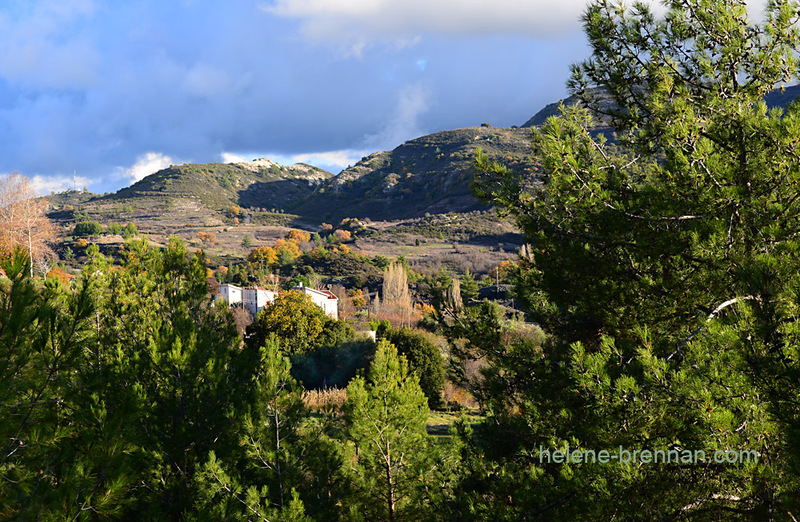 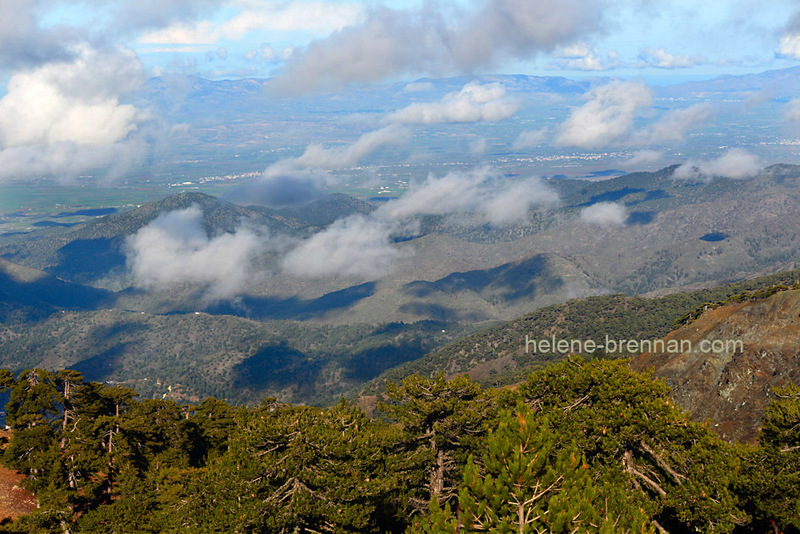 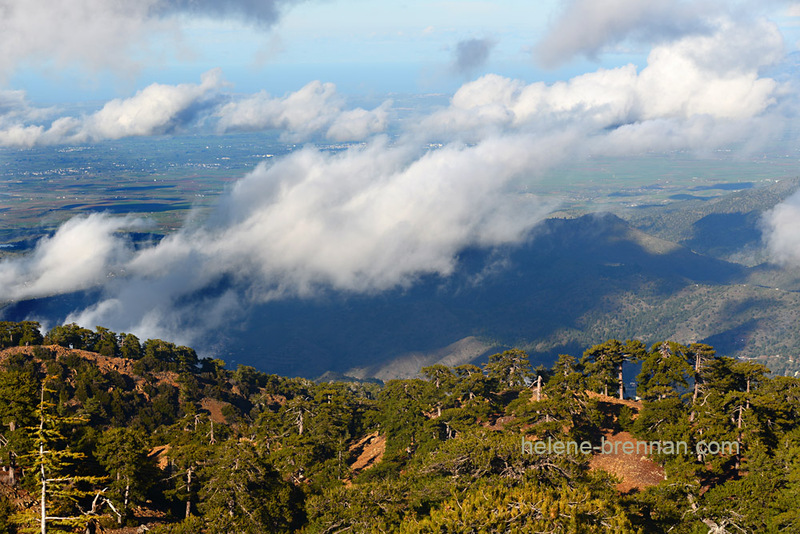 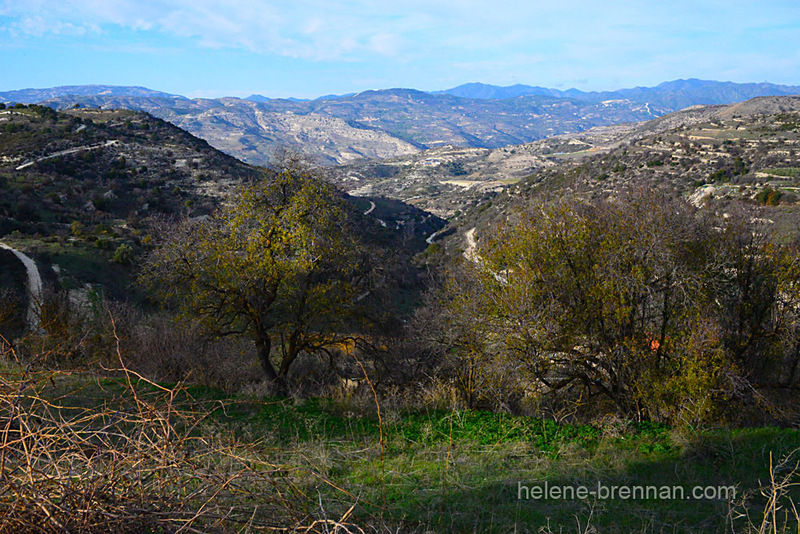 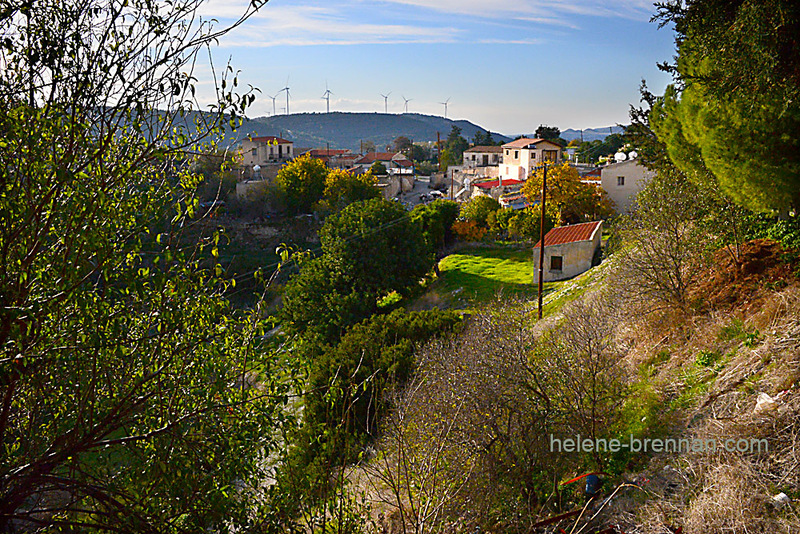 Here are some more photos taken in the Troodos Mountains in Cyprus. 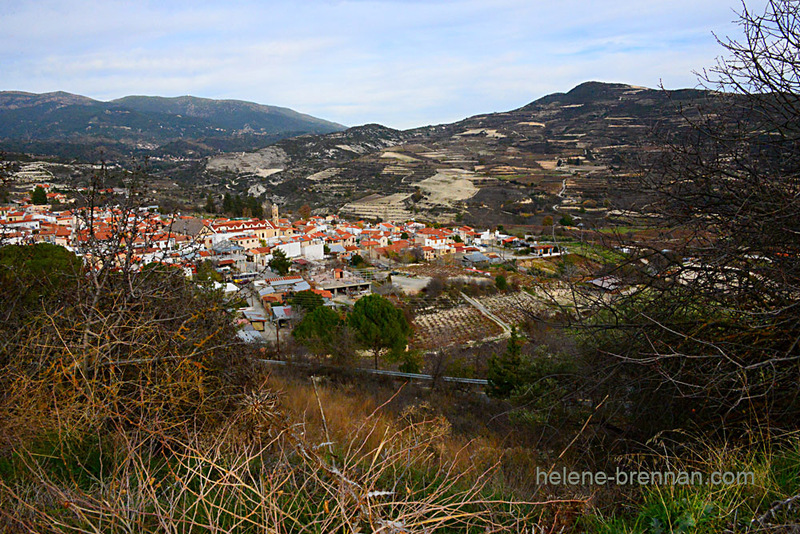 This is a beautiful area with lush scented forests and picturesque villages. 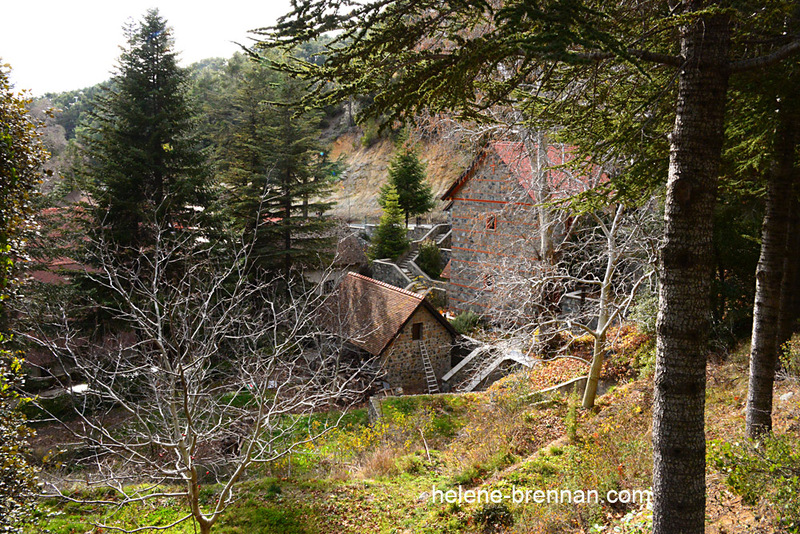 I have named some of the villages, but unfortunately, some are forgotten. 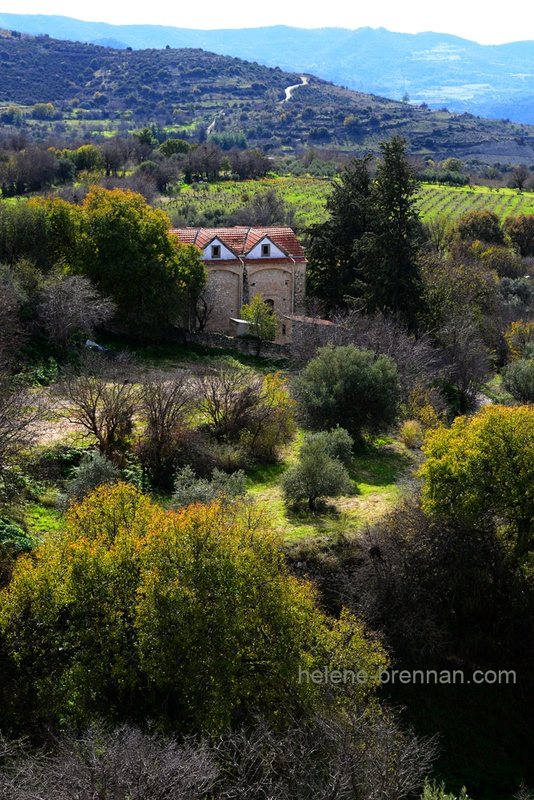 Trooditissa Monastery, above, viewed from the road. 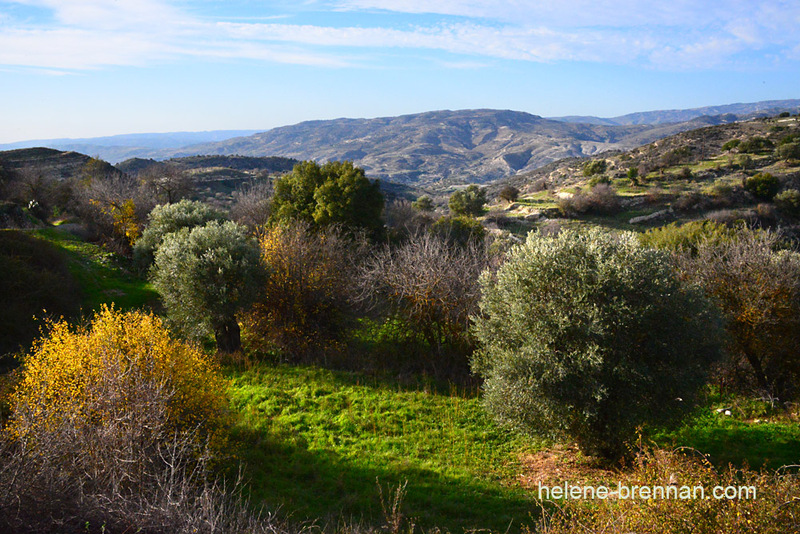 Omodos Village, a wine producing village at an altitude of 800 metres in the Troodos mountain range, in the beautiful area of ‘Krassohoria’, just 42 km from Lemesos town. 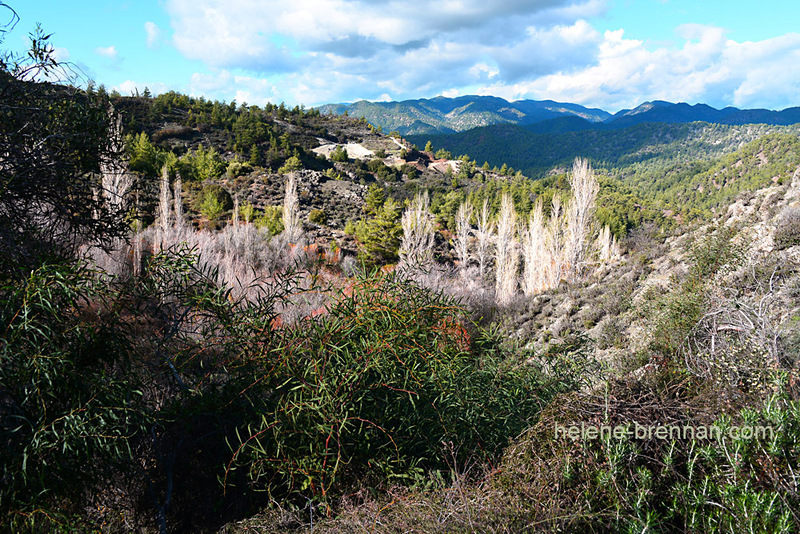 Recently I was looking through some old pre-digital photos, I was concerned to see how they were deteriorating, particularly those which I kept in those typical photo albums with a cellophane type of covering over the photos. 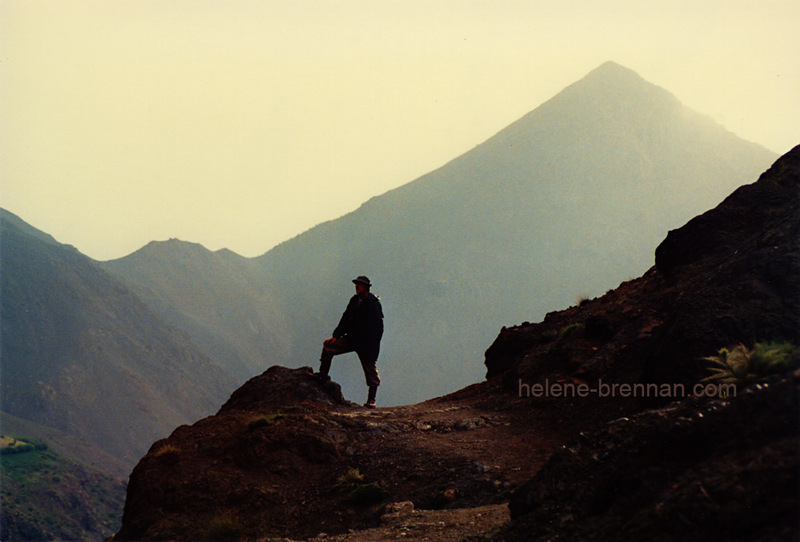 So I set about trying to scan these prints – or at least most of them. 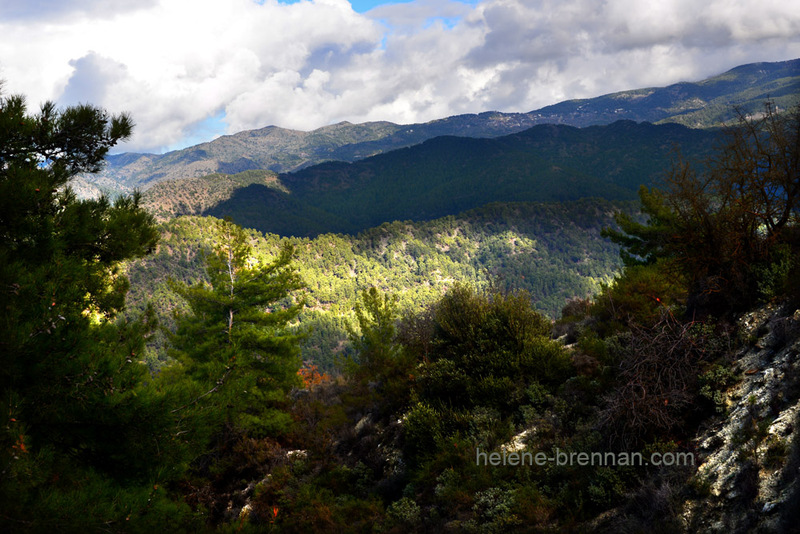 I had previously used a gadget for scanning the negatives but found it fiddly and it produced distorted colours, and scanning several prints at a time on my A3 scanner was so much quicker. 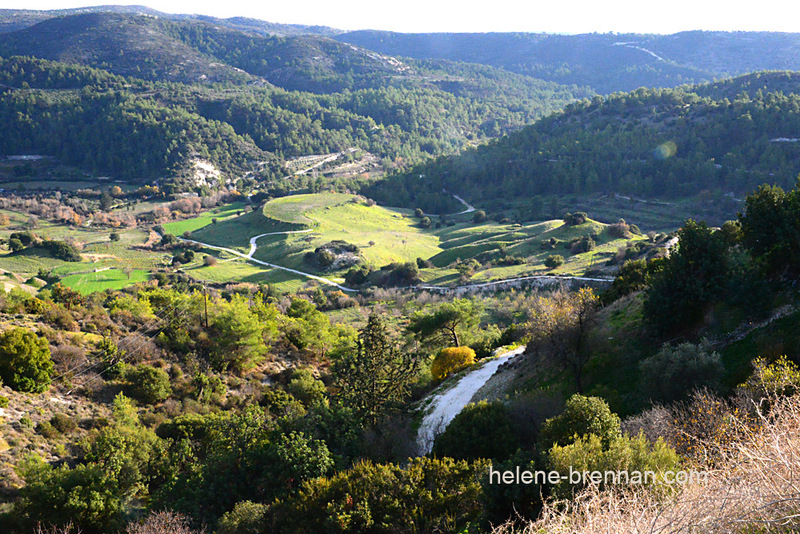 After scanning I then made some necessary restoration to the colours and intensity of the images. 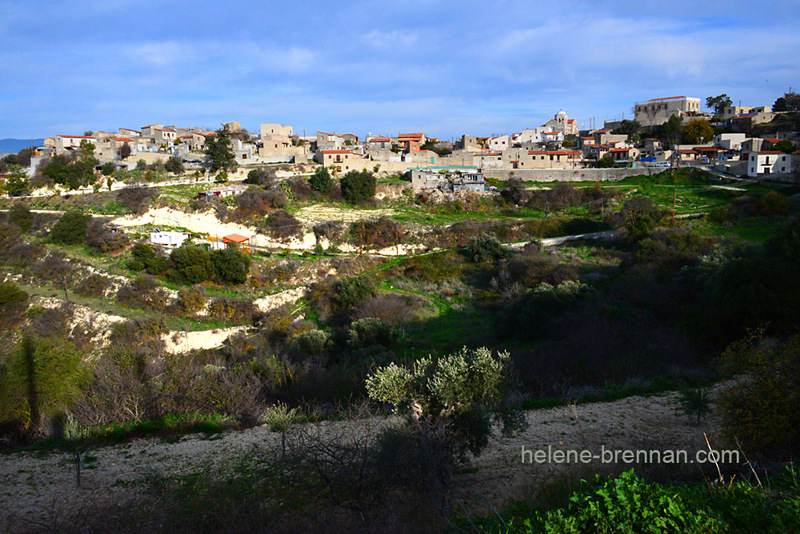 Of course they don’t compare well with the quality of photos made with modern digital cameras, many are a bit grainy or noisy, but in a way I quite like the aged appearance of them and I feel they are relevant in terms of representing a place in time, and important to preserve them before they are beyond redemption. 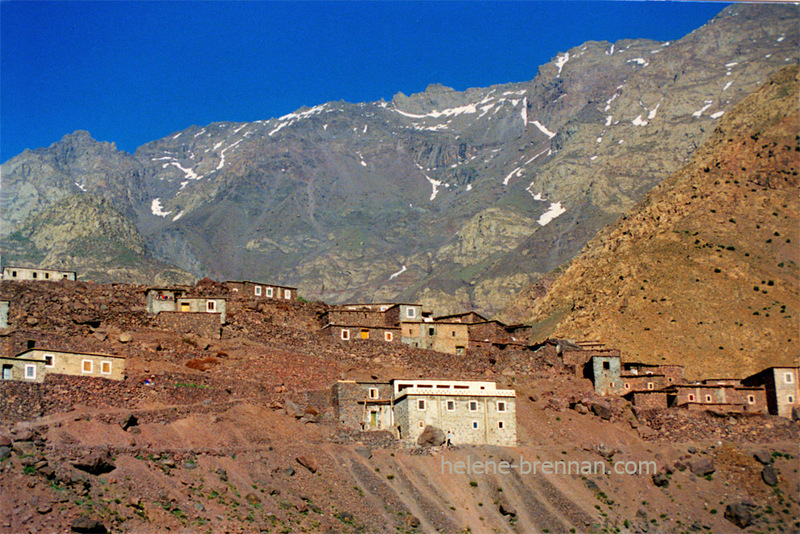 In 1988 I made a trip to Morocco where I trekked with a group in the High Atlas Mountains, the high point of which was an ascent of Mount Toubkal. 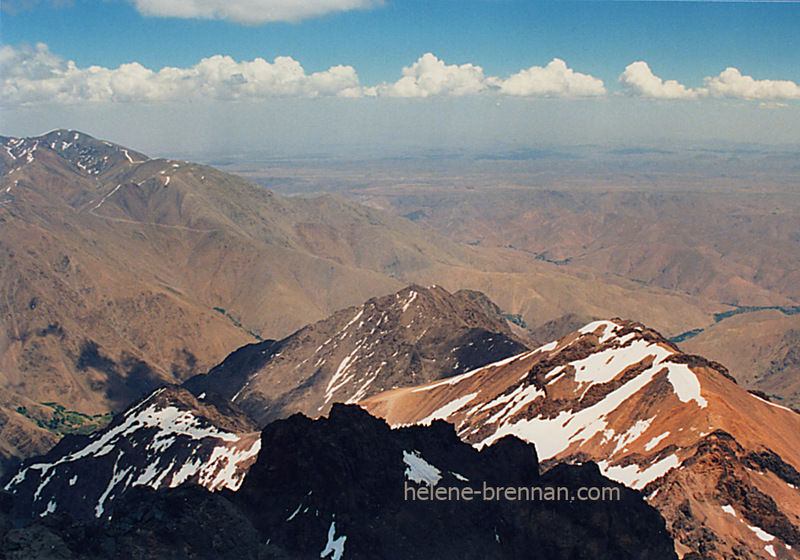 At 4,000 Meters I believe it is the highest mountain in North Africa. 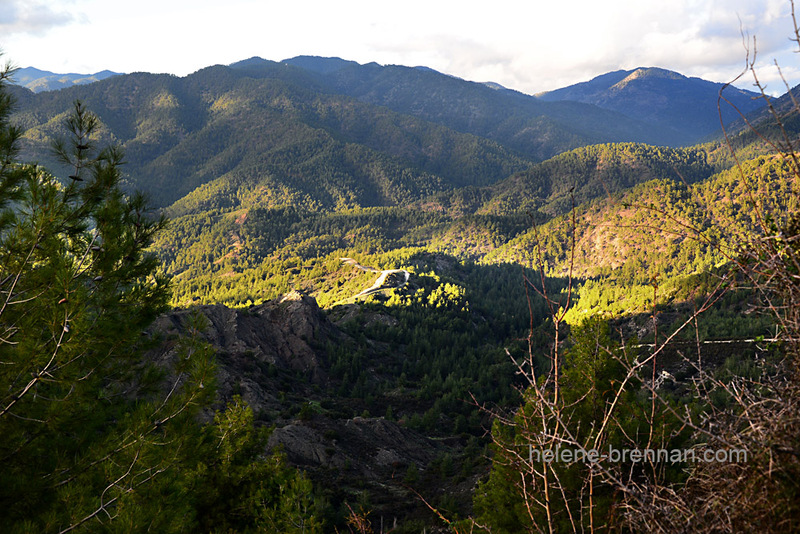 Not high compared with other more famous mountains, but fairly challenging. 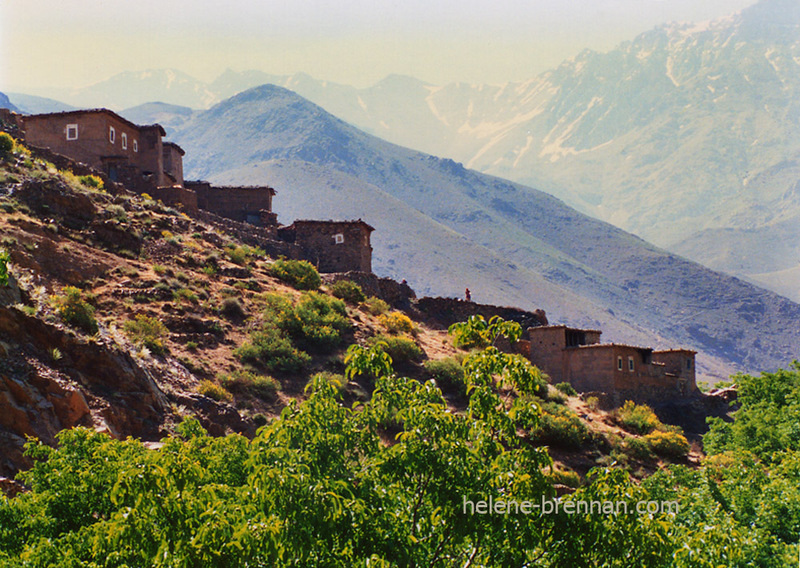 The trek took us through many small Berber villages, the names of which are largely forgotten now. 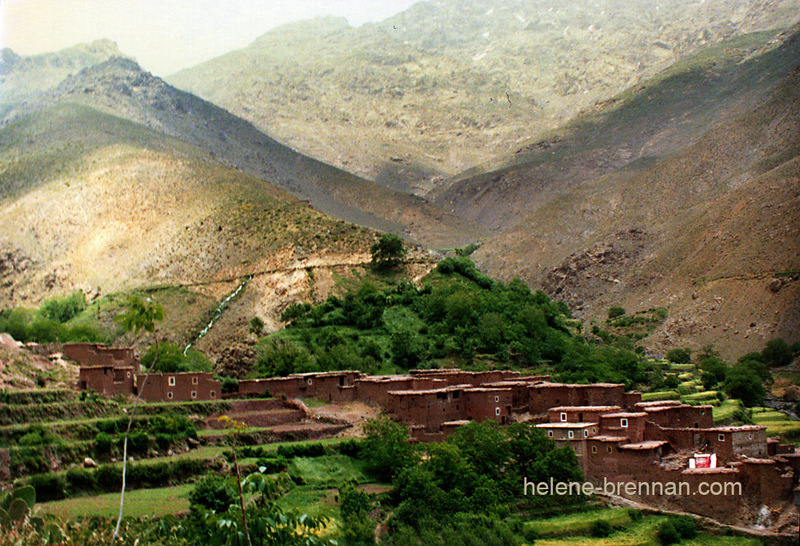 The friendly Berber people there were were mostly living in quite modest and poor conditions at that time, and tourism was really only just developing in the area. 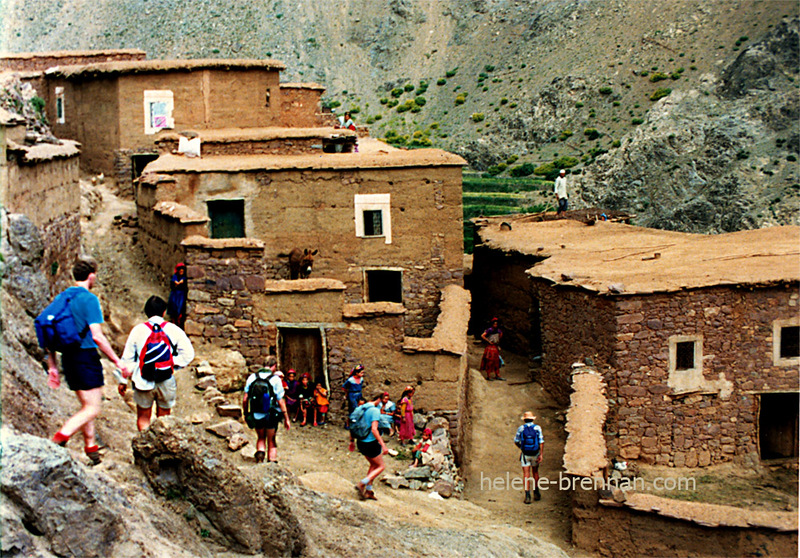 We overnighted in basic conditions in some of these villages although in one or two places we didn’t even have access to any sort of a toilet, and finding a private place for the necessary personal daily deeds was subject to being followed by local people – mostly women and children who were clearly highly amused! 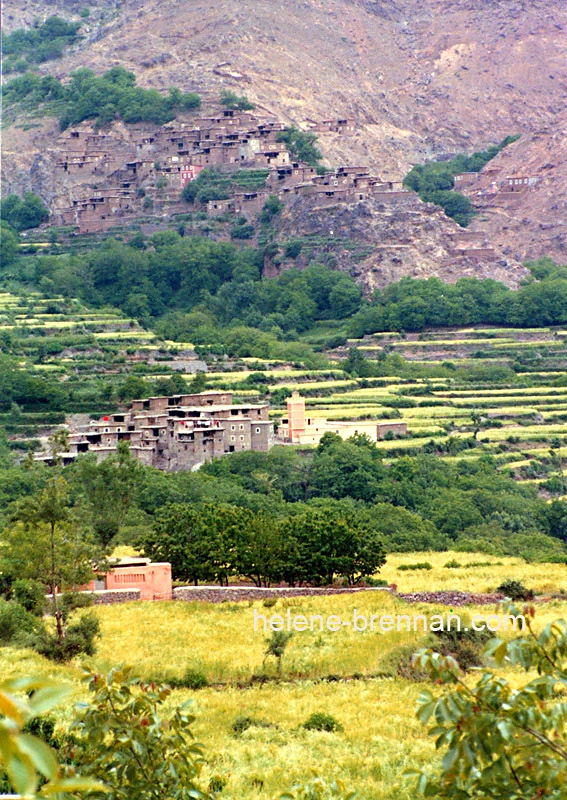 A Berber village on the mountainside, typically coming down in steps, and with its terraced farmland below. 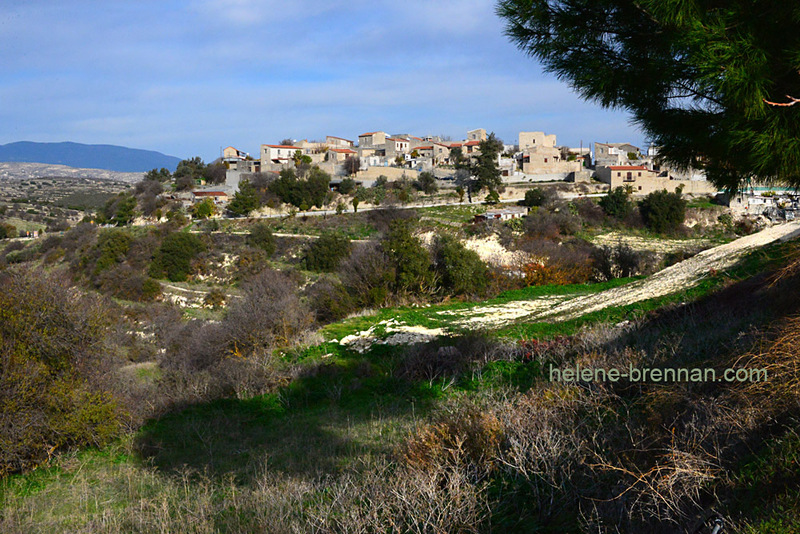 The main problem with looking back at these images is that I have forgotten the names of the villages, I may insert some more information if I can later. 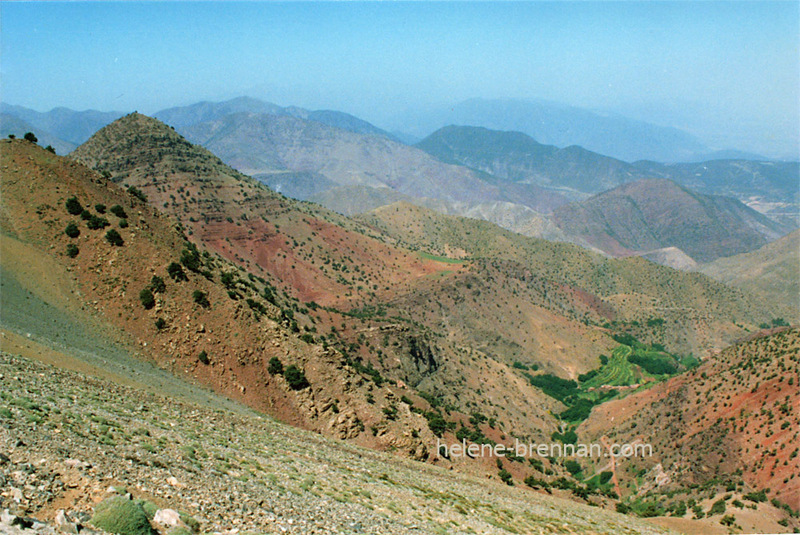 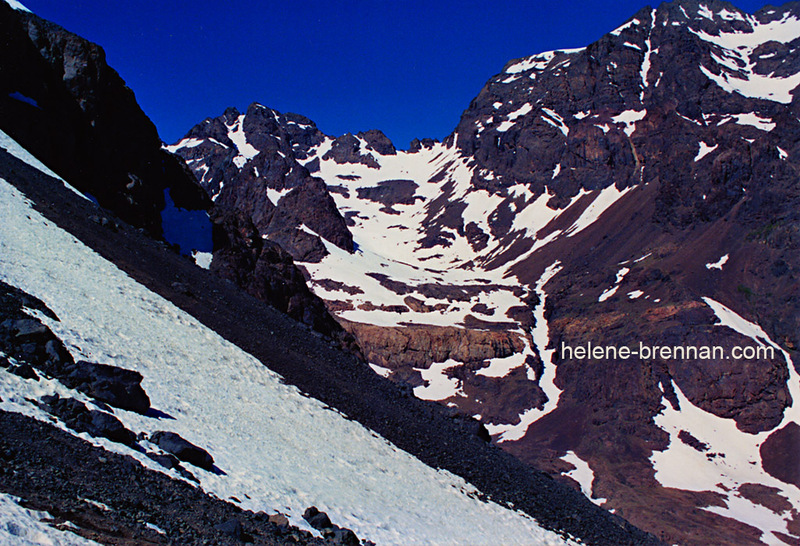 Ascending Mount Toubkal. 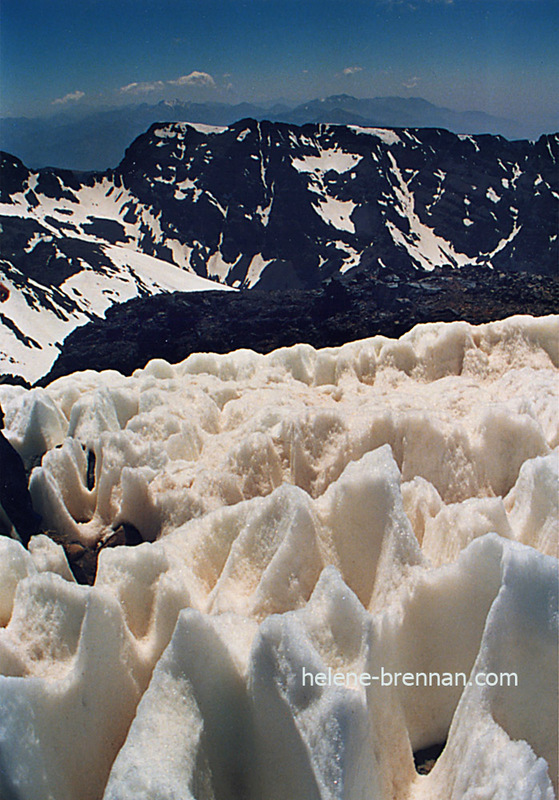 Large areas were quite snowy. 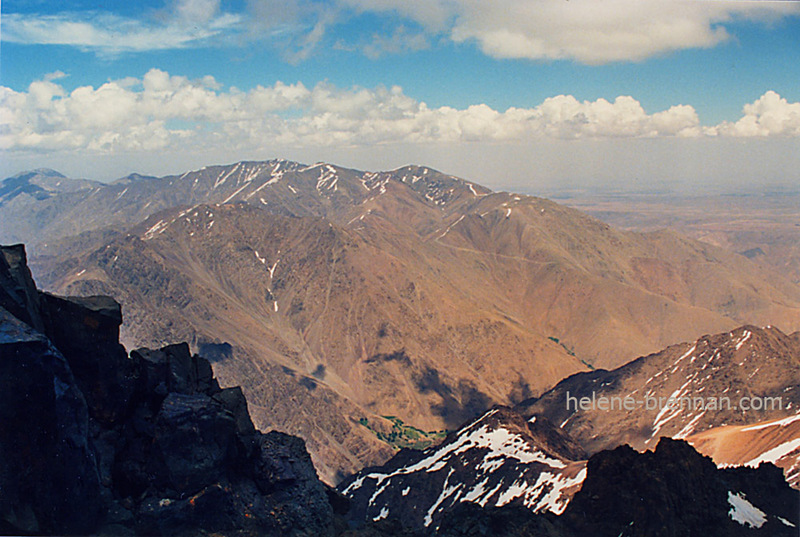 From summit of Mount Toubkal, above. 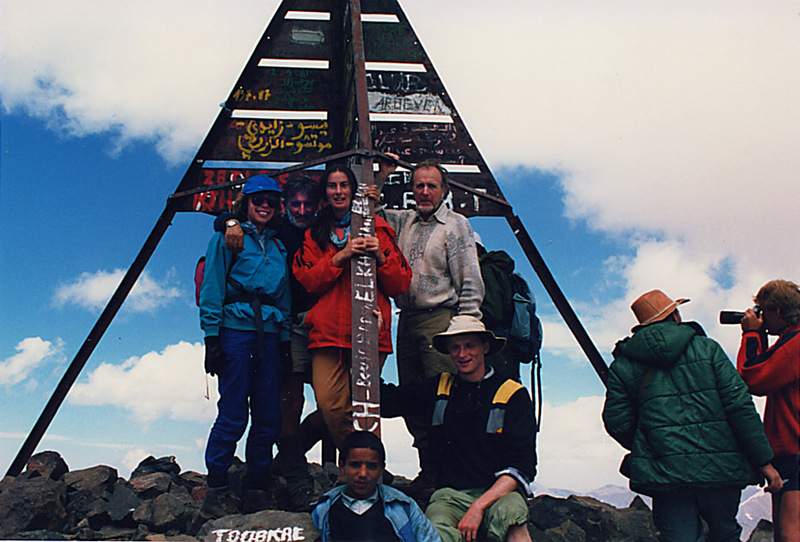 At the summit of Mount Toubkal. 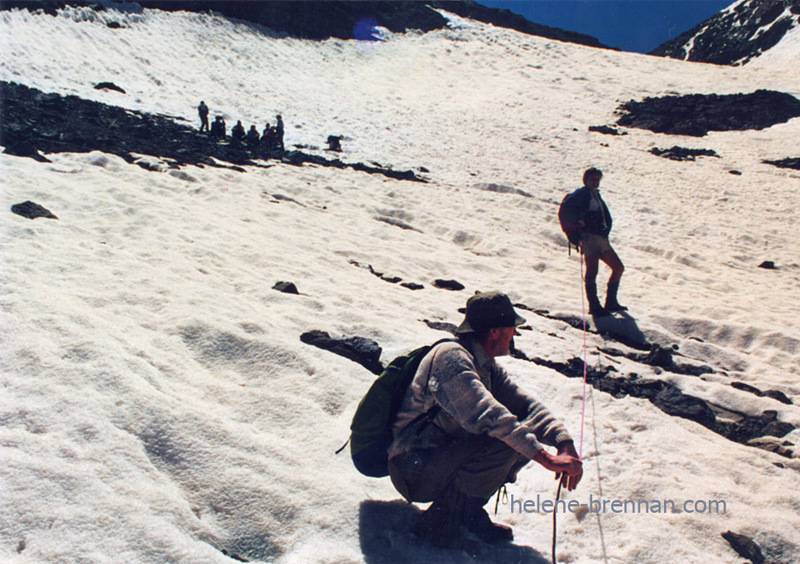 As I am in the photo, I obviously didn’t take it, and I really can’t remember who did, but I’m sure they won’t mind me showing it. 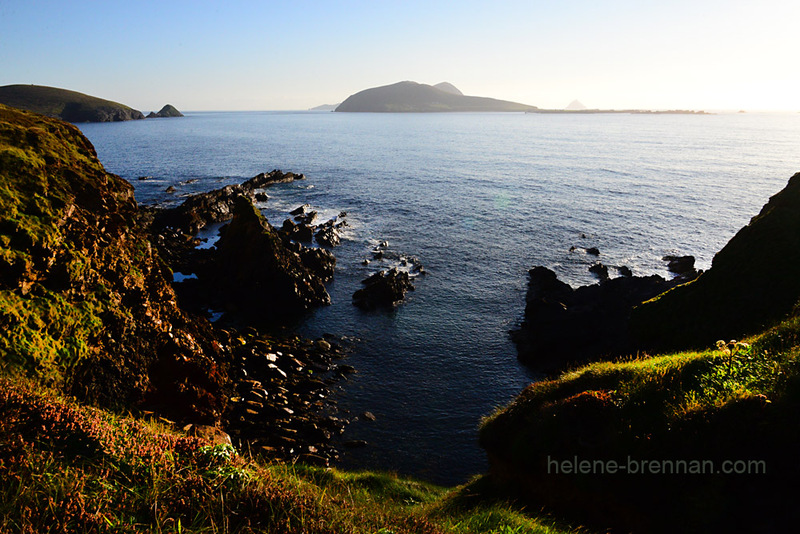 View of Blasket Islands and Dunmore Head from the slip descending to the pier. 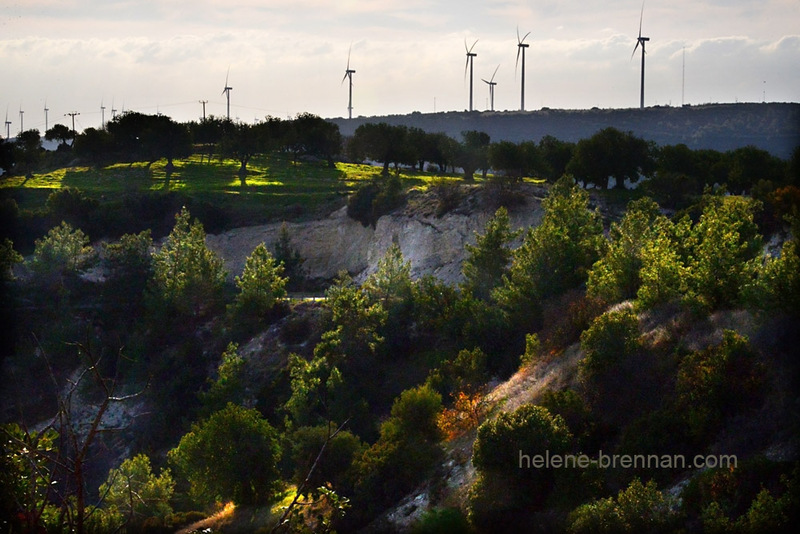 Below is a photo of Inis Tuaisceart. 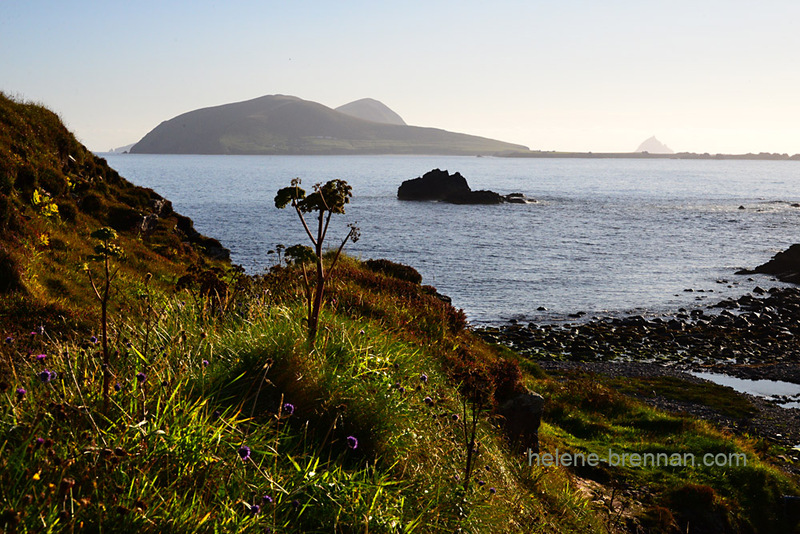 Inis Tuaisceart, AKA The Sleeping Giant, one of the Blasket Island Group, above. 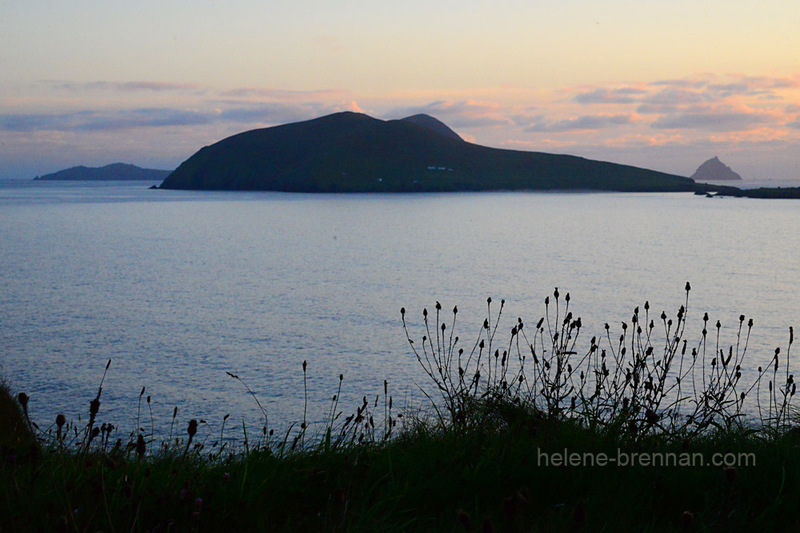 The Blasket Islands from Ballyickeen Commons, Dunquin. 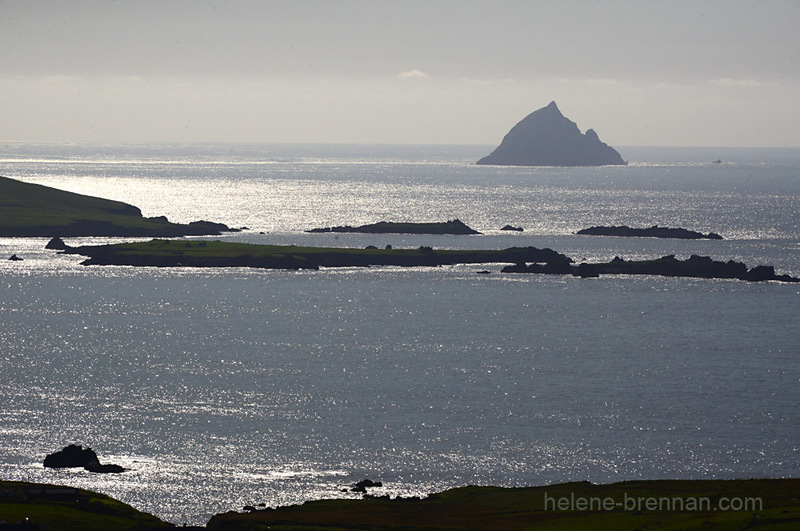 The Blasket Islands from The Clasach, Dunquin. 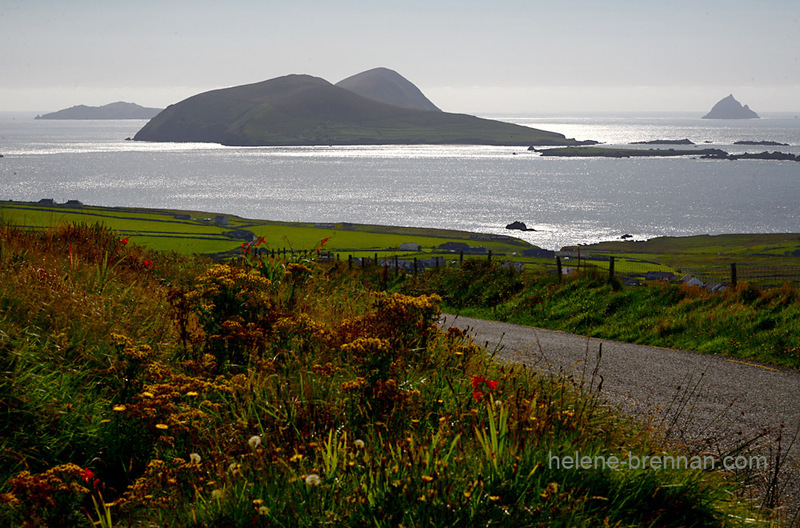 The links below will take you to my previous posts about the Blasket Islands. 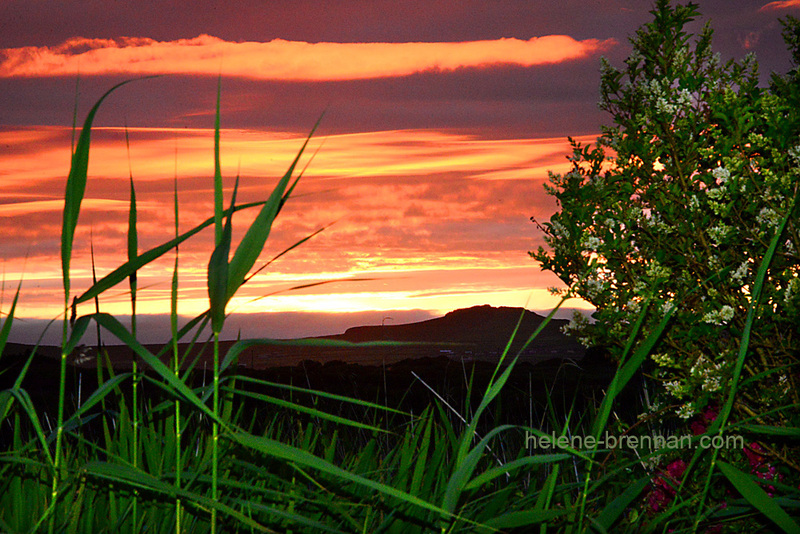 Yes, I have taken many photos and painted pictures of sunsets, many of which are previously posted in my blog and also on my website: http://www.helene-brennan.com/tag/sunset. 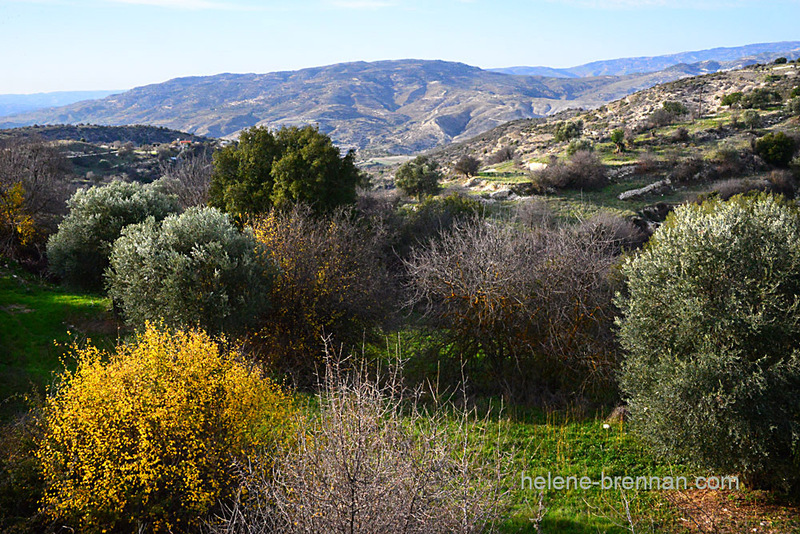 But it’s so very hard to resist, when you see from your window the red-golden tree tops in the garden, and you know this is a special one – again. 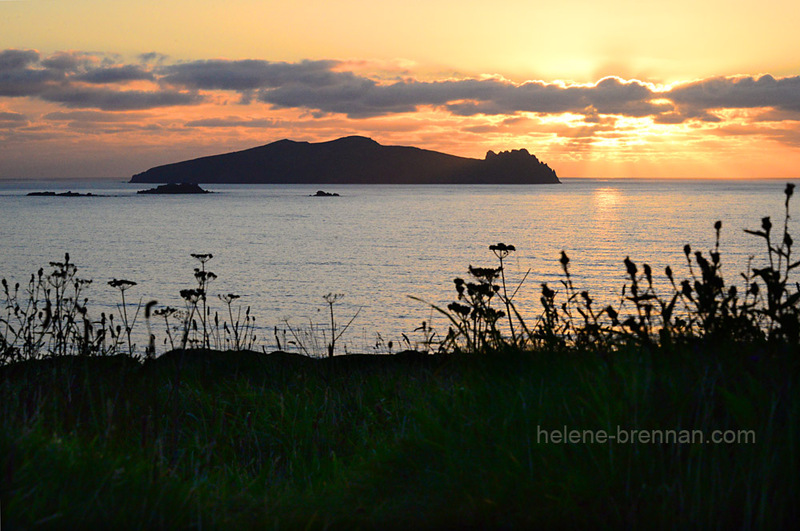 These special sunsets don’t happen often, but they happen a number of times in the year. 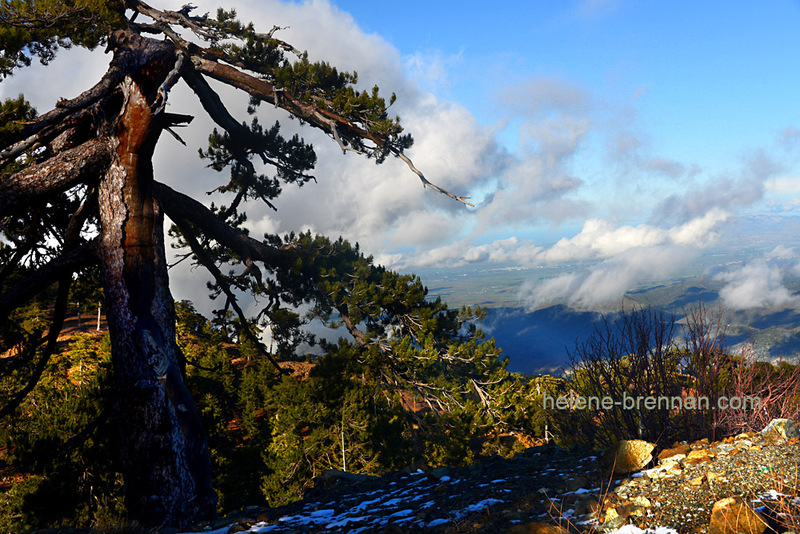 It isn’t always convenient to be out taking photos at these ‘special’ times. 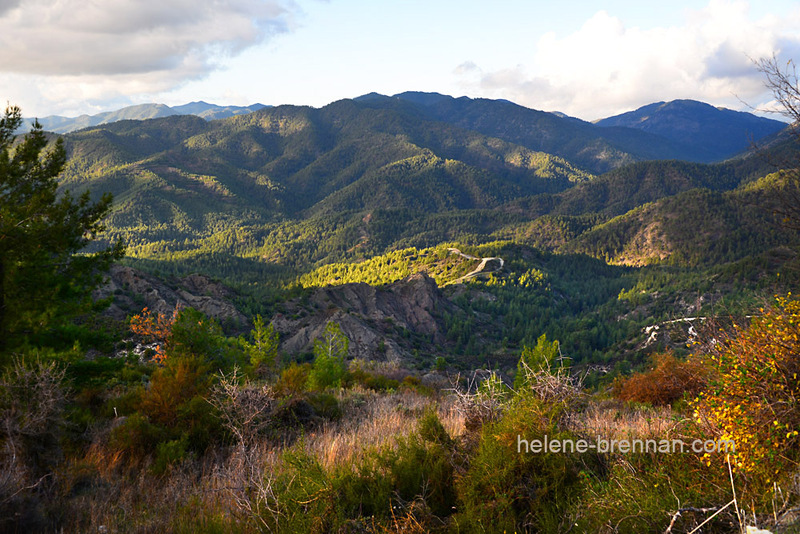 Last night, for instance I had just returned from a strenuous row on the sea, and wanted nothing more than to sit and relax. 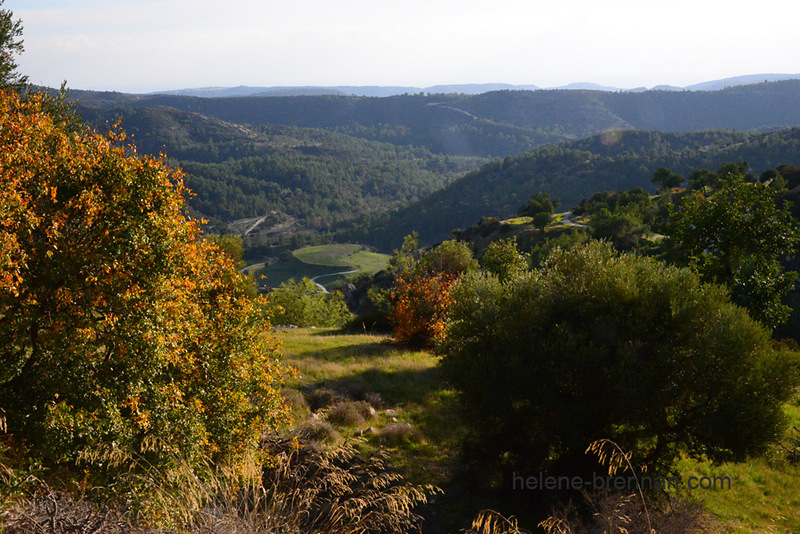 I tried to ignore the reddening of the sky outside, but eventually I had to just run outside before the colours disappeared. 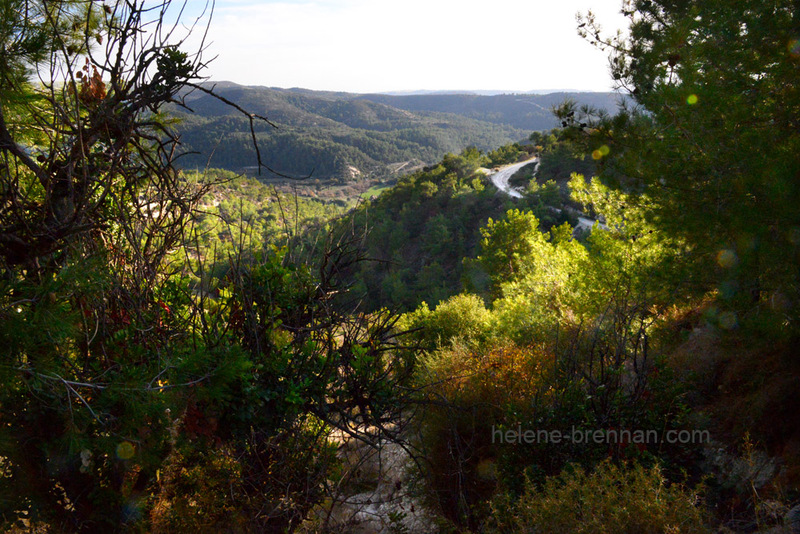 As usual in these situations, I just grabbed the images, no time for the tripod or anything like that.